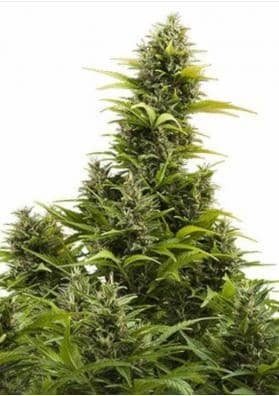 In this section you will find our favorite autoflowering seeds, to access all the medicinal seeds of the store go to the following link and discover all the medicinal marijuana seeds. Medical cannabis (also called medical marijuana) is the term used to refer to the use of the cannabis plant as drug therapy, either therapy based on the plant in question, THC, CBD and natural CBN, as well as THC and other synthetic cannabinoids. It is an ancient knowledge that the Cannabis plant has palliative and healing properties, in many states this right is already recognized and many patients can be relieved, but in many others not. There is a great deal of research on the use of Cannabis as a medicine today. The method for the administration of the active ingredient can vary widely depending on the disease or taste of the affected, among them we find the vaporization, which is the most recommended for people with diseases, smoking cannabis buds, drinking or eating extracts of cannabis, THC and taking synthetic pills. The use of marijuana beneficially affects the ocular pressure reducing its inflammation, notably improving the glaucoma lesion. Medical marijuana has many other uses and many more are being discovered every day, especially in cancer and AIDS (HIV). It relieves anxiety, nausea, inflammation, seizures and inhibits the growth of cancer cells. In November 2007, CBD was reported to reduce the in vitro growth of aggressive human breast cancer cells and reduce their invasiveness. In April 2005, Canadian authorities approved the use of Sativex, a mouth spray to relieve the pain caused by multiple sclerosis. Sativex, a product of GW Pharmaceuticals, contains tetrahydrocannabinol along with cannabidiol. Recent studies have shown that cannabidiol is effective as an atypical antipsychotic in the treatment of schizophrenia.